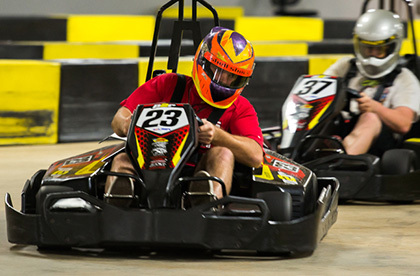 Looking for a fresh and unique place to host your next company party in St. Louis? 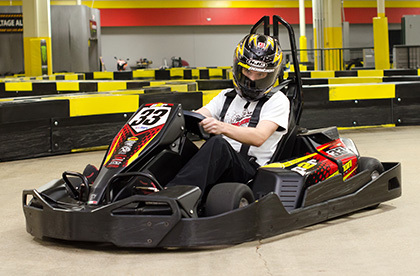 Then look no further than Pole Position Raceway in St. Louis. With our large facility capable of hosting up to 300 people, and a meeting room available for catering or a bar set-up, we have everything you need to host your next company party in St. Louis. Minimums apply. 1 free drink, winner medal and annual license included per person. 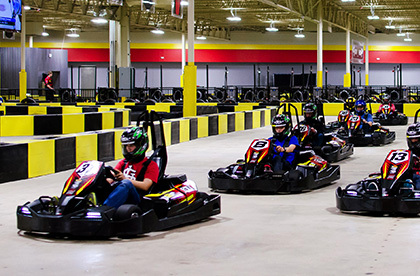 Whether you are looking for a large conference room space or a fun, competitive event that people will be talking about for years, visit Pole Position Raceway. To view available dates for hosting your next corporate event in St. Louis, visit our Calendar of Events page. 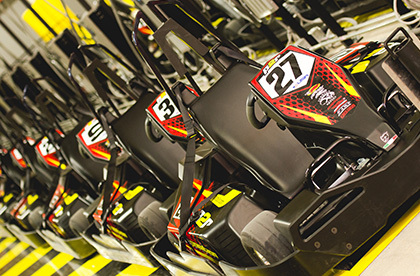 Whether you are interested in hourly track rental or a full-facility buyout, contact our event coordinator today at 314-925-7545 or Request a Reservation online!